Harvey an older Georgian gentleman, is sat relaxing enjoying his pipe. He wears a flamboyant white shirt finished with an attractive waistcoat. 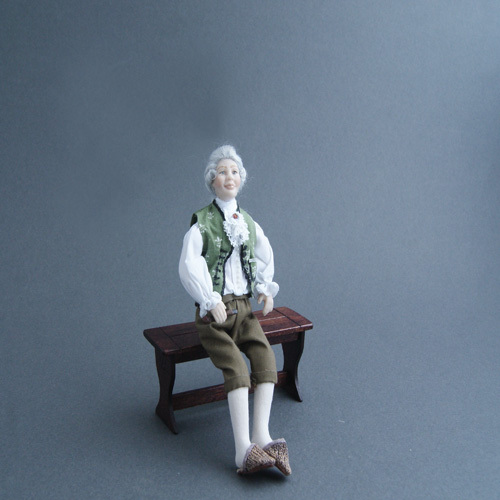 Harvey is comfortable in his breeches and particularly so in his slippers. 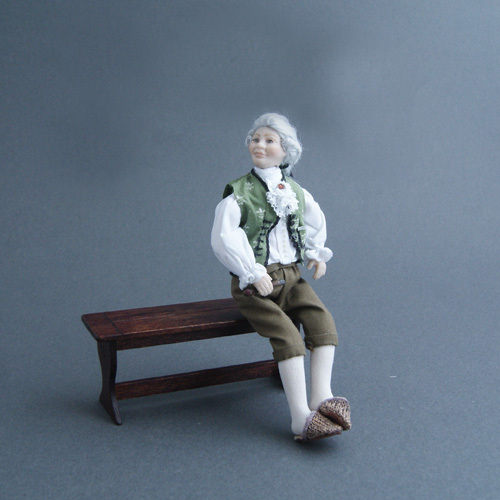 Harvey will stand or sit and is made from porcelain with a soft body - 1⁄12th scale (5¾″ approx.) i.e. 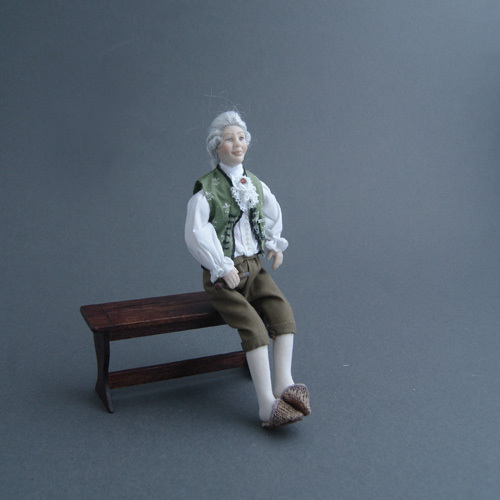 Dolls house size. PLEASE NOTE THE SEAT IS NOT INCLUDED.